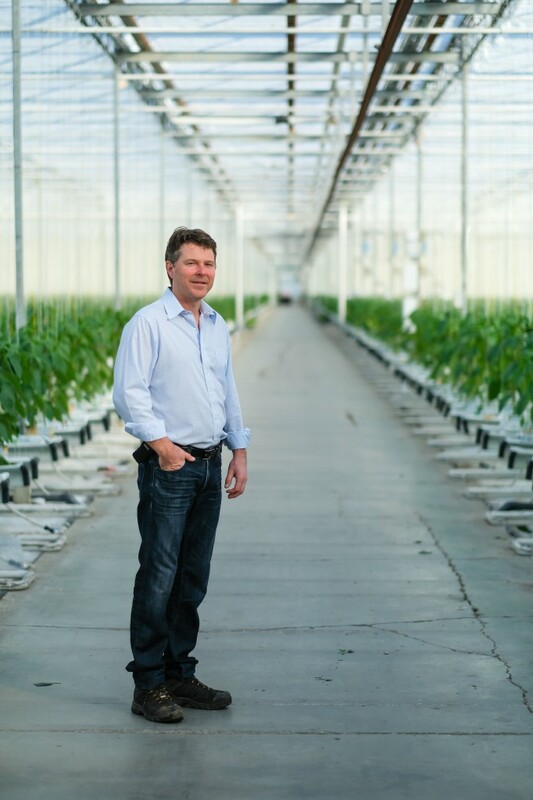 Sumas Ridge Greenhouses Inc. and Bakerview Greenhouses are owned by the Vander Meulen family. I don’t often get the opportunity to travel to locations with our photographer, Karin, but was glad to venture out one frosty February afternoon to the Abbotsford greenhouse owned by Armand Vander Meulen and his family. The warm humid air, diffused light and rows of glassed-in vegetation create a welcome respite from the cold outside. The Vander Meulens (Armand, his wife Petra, Armand’s brother Peter and sister-in-law Winnie) own Sumas Ridge Greenhouses Inc. and Bakerview Greenhouses Inc., a total of 36 acres, with plans to add an additional 11 acres. 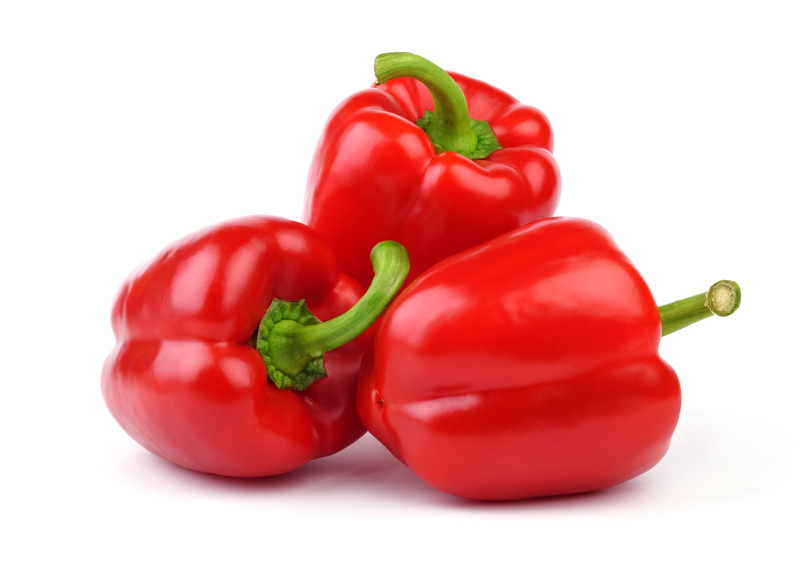 They produce over 4,000 tons of red, yellow and orange peppers each year. Green Valley Produce Inc. on South Parallel Road houses the grading and packing part of the operation. Both Karin and I live in the Fraser Valley and often pass the Vander Meulen greenhouses, unaware of the work going on under the glass panes. Not only a shelter from the effects of weather, but also from pests, diseases and chemicals in the environment, the greenhouses are a food haven. As we acclimatize to the tropical environment, we watch a team of workers prune away leaves and tiny bell peppers from the rows of young plants which seem to disappear into the distance on either side. Armand describes how the old crop was removed in November and the new crop planted in early December. Some peppers will be ready to pick in a few more weeks. The plants are propagated at Bevo Farms in Langley and shipped to the greenhouses at six weeks old. They arrive in small pots which workers pop into prepared slabs of coconut fibre, or Coco-Peat, which is biodegradable and resistant to pests. Irrigation drippers are placed in each pot, supplying nutrition which is adjusted as per the needs of the plant. Biological controls are also introduced early on so they are ready for potential pests. Approximately 120 BC greenhouses employ around 2275 workers. 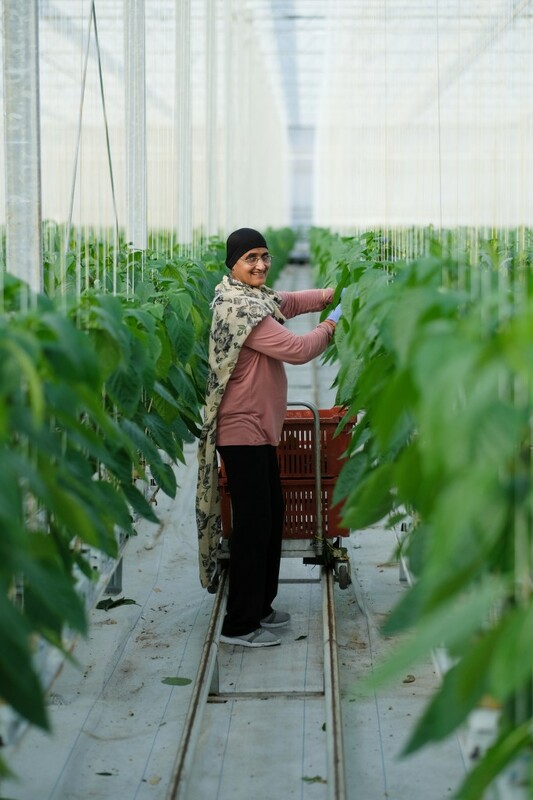 I watch as Karin takes photos of the workers, engrossed in their examination of each plant, my mouth watering at the fragrance of peppers—even though the plants aren’t yet producing edible fruit. The translucent energy screen below the glass above us is closed, keeping the warmth in like a blanket. The screen controls light and heat, conserving up to 40% of energy. “It’s easy to keep the greenhouse warm, but we also need to ensure the plants get enough light at the right stage of growth,” says Armand. He also points out that, historically, greenhouse growing focused on production and the bottom line, pushing growth above green. Modern growers are passionate about taste, and value scientific research and proven growing methods using bio-controls and technology to ensure a quality crop. “Our growers, or greenhouse managers, walk throughout the crop and are in constant communication with the labour force. They are alerted if there is any change in the plants, or a bug spotted that shouldn’t be there so corrective measures can be taken,” Armand adds. The BC Government website states there are approximately 120 greenhouse vegetable and fruit operations, employing around 2275 workers. The Vander Meulens employ up to 70 people throughout the year, but it can be challenging to find skilled workers. Like any modern agriculture venture, greenhouse growing is initially a huge investment. Armand knows people who started greenhouse work right out of school, and ended up purchasing the operation from their boss. 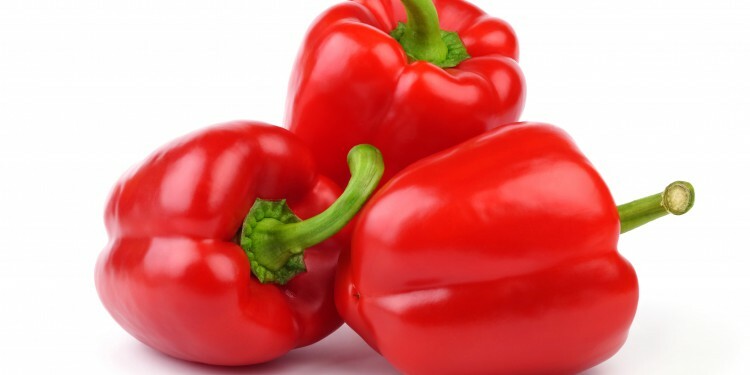 Since 2003, the BC greenhouse industry, once dominated by tomatoes, has slowly been taken over by peppers which now account for around 45% of the market. 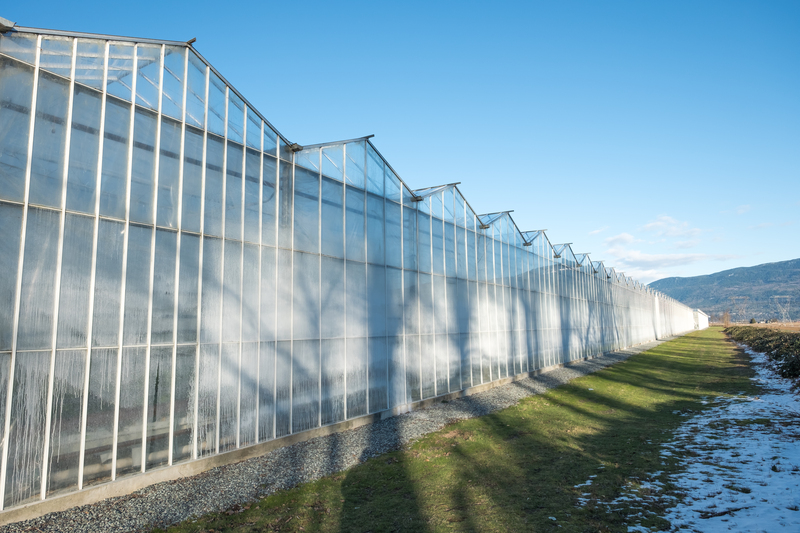 Production is regulated, and producers must apply to the BC Vegetable Marketing Commission for an allocation to produce greenhouse vegetables. Though there is growth in the greenhouse industry, mostly because it is shown to be a superior way of growing food, Armand feels it’s important to maintain that growth despite many hurdles placed by government and retailers—and often the public. Here in the Lower Mainland, there are about five or six sales agencies representing all the growers, most formed in the late 1990s. The competition is generally friendly between the sales agencies, and indeed there may be times when an agency will reach out to a fellow agency to buy or sell product when supply is short. “There are not that many major buyers anymore, but there is a lot of sharing in the sense that big buyers will purchase a variety of product from different sales organizations,” Armand explains. The BC Greenhouse Growers Association (BCGGA) is essentially a lobbying group and an advocate for growers. The BCGGA members represent the majority of greenhouse vegetable production in the province. Armand was a founding member of the association in 1996 and served 10 years as a director, left for 10 years, and has since returned. The organization is made up of a handful of local growers. The Vander Meulen’s own website, GrownUnderGlass.ca, informs about the health benefits of greenhouse peppers and teaches about the lower environmental footprint of growing under glass. Most people would agree that locally grown produce is far superior to imports and that we should support our growers when their products are in season. Karin and I are reluctant to leave the comfort of the greenhouse for the meager warmth offered by the feeble February sun. As we walk to our cars, Karin stops to take photos of fragrant mounds of sawdust; forestry waste that will burn to provide 50 per cent of the heat to the greenhouses—another cost-effective, green initiative. A few last shots of the greenhouse glass glinting in the setting sun completes our tour, and leaves us looking forward to a rainbow of BC-grown peppers later this year.